Money—that’s the operative word this week. Venus is in the early stages of reviving your income, or bringing you something you value. It could be a sentimental gift or a treasured family heirloom. Whatever form it takes, be sure to thank this goddess, for this is only the beginning. 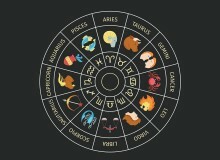 With the Pluto-Uranus squares, events may have conspired so that your self-esteem took a hit. Every time you get back up, world history and your destiny become one; your strength is an inspiration to others. Finally! Venus in your sign brings you wealth in one form or another. Remember that personal qualities and how you present yourself have value. You negotiate with others using your energetic field every day, though most times that perspective is not spoken of or even known about. Mars still trails in your solar twelfth house of behind-the-scenes activities. Dreams dominate this sector of your chart as well. The Sun shines a little light on this over the weekend. A great week to send your request to the court of cosmic appeals—after all, Gemini is ruled by Mercury, the messenger. Gemini also rules the third house of communication, opposing the ninth house of law. So when it comes to quantum repartee or negotiating an agreement, you pretty much have it covered. Venus has moved behind the scenes in your chart. She may want to hide a financial strength from predators in order to give your resources time to grow. If it weren’t for Mars and Uranus dancing a tightwire at work, it would be easy to welcome the Sun into this sector of your chart. The Sun rules the heart and your ego. As it is, awareness gained this week is worth the reflection, because you’re free to step out of the loop you’ve been in. No one ever said consciousness doesn’t come at a high price. Still, freedom is what you were born for. Saturday and Sunday are days of possible tension, which by Monday becomes a power base for you. Lessons learned lately are expensive—ouch! You’ll survive them. Your heart is overflowing, and you’re treated to glimpses of the bigger picture and your role in it. Once you see it, you’ll realize why Leo’s ruled by the Sun, which governs the heart. Compassion becomes the only way to absorb current shocks and move forward. Reflect the energies from your opposing sign, Aquarius. Understanding comes from pulling back and restoring yourself before going back in. The tip of the Sun-Moon conjunction opposes, and can balance, your relationship on Friday. Then the weekend rolls around—or hits, depending on your personal velocity—and you get to see just what you’ve created together. For some weird quirk of universal law, even if you’re single, you still get to have the experience. It might be with a relative who wants to give you a gift, or a corporation that needs to make amends. Grab it when it comes, for it’s a lightning strike. If it weren’t for you, everything would go by in a blur and no one would remember why. We didn’t just come here for the grit of the day; we came to resonate with something so lovely that inspiration follows. It may be a beautiful mind, a gorgeous rose, or a tempting … someone. And don’t forget food! Then there’s the sound of a voice that soothes; the color of a green bud that blooms purple-pink. There has to be something that nourishes the soul, and you hold the power in your hand. Your house of romance is full this weekend. Make sure you don’t have too many people interested in you at once, or you’ll have the same lesson coming to you from every direction—exponential, multiplied. The Sun-Moon conjunction on Friday is yummy, just as the Moon separating from the Sun is sad to see it go. Saturday and Sunday are for work, one way or another. You’ll have energy to tackle a big task. If you pace yourself, Venus will see you have a reward at the end. Sagittarius, whom everyone requests when they need a lift, needs some tender, loving care this week. You’re not used to the heaviness of Saturn in your sign. This planet’s in the early stages of putting you in the driver’s seat. 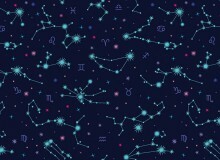 Sagittarius still governs everything from optimism and fun to the law and long-distance travel. Splicing together opposing viewpoints can become exhausting. Synthesizing, correlating, all in the name of holding onto the highest perspective, takes its toll. It may be time to delegate. Sometimes it’s good to get on another channel; you have so many other options this way. Some people beat upon a door that won’t open—because it’s the wrong door. Seems simple, but not when emotions are involved. Of all the signs, Capricorns are the most pragmatic; you do what works. Luckily, with the Sun-Moon conjunction this Friday, you can start your weekend with a little whimsy. Fantasy’s always a nice way to escape—no reality required. Ever feel like you can think better when no one else is around? How hard is it to find that kind of space these days? The pressure is on to create your own little cocoon. Some people are born with a built-in buffer zone, others are porous and can’t help feeling everything around them. With the Sun-Moon conjunction in your solar second house of income on Friday, there may be pressure to perform or provide financial help. Make sure you are OK in the midst of it all. Wow! 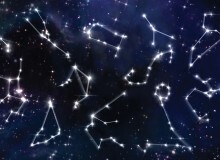 The Sun conjuncts the Moon in Pisces on Friday, and feelings run deep: Music is inspirational, films change lives. 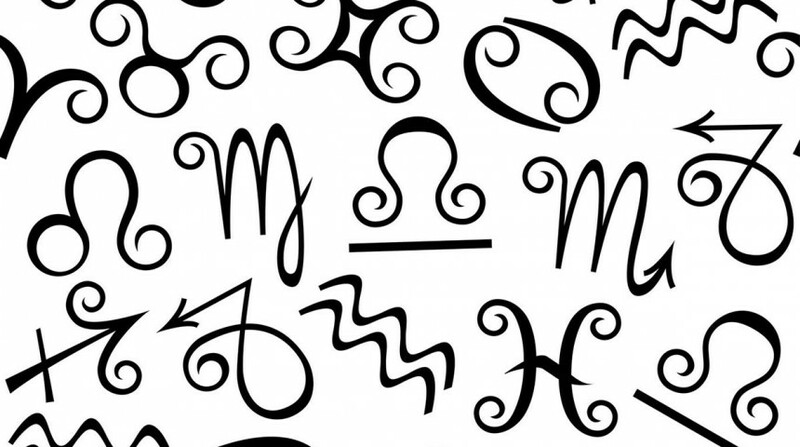 Mercury in your sign makes you prophetic and mystical. Then the Sun leaves your sign and so does the Moon. Suddenly, you’re looking at what you have; income is a factor, and what you own. What you do with your time is valuable. Who you are and what you create is your signature of self. You become a wave of reality that travels on forever.